With fall sports in high gear, it is important to take a step back and think about your children’s health and safety while they are on and off the field. The recently launched “Eat Smart, Play Safe” campaign provides healthy nutrition and sports safety tips for active kids. As a physician and chairman of the Pop Warner Medical Advisory Committee, Dr. Julian Bailes has several tips for families looking to incorporate the “Eat Smart and Play Safe” mentality into their daily lives. Consider giving your little athlete a multivitamin made for children. Supplementation, such as L’il Critters daily vitamins, can help kids get the nutrients their bodies need to grow and take on the physical challenges of sports, especially on days when they don’t eat perfectly. Common supplements include vitamin D, vitamin C and calcium. Check with your child’s pediatrician before beginning a supplementation regimen. The brain is one of the most vital organs in a child’s body. When playing youth sports, brain health must always be top-of-mind. A diet rich in omega-3 fatty acid DHA is important in supporting brain development in children and young adults, and may also improve memory and cognitive function. Likewise, DHA can be a key factor in sports safety, because it has several neuroprotective effects in the brain. DHA is found in algae and fish, and children should consume at least 200 mg of DHA a day in fatty fish, fortified foods and beverages or with a daily DHA supplement. Remember to check with your healthcare provider before making changes to your diet. Vitamin D, along with calcium, is essential for healthy bone development in children and adolescents. It also plays a role in maintaining normal mineral metabolism. Adolescents are the most susceptible to developing vitamin D deficiency, so ensure they eat plenty of vitamin-D-rich foods such as oily fish, egg yolks and mushrooms, and get at least 15 minutes a day of sunlight. Vitamin D is also available in an easy-to-take supplement. Remain physically and mentally active in new and challenging ways. This includes activities like joining a sports team or club, or just dedicating time to play with friends in the neighborhood. 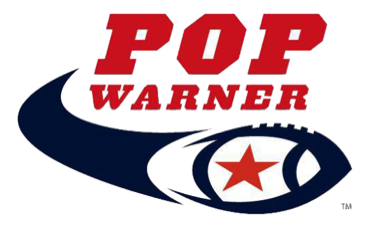 Pop Warner Little Scholars presents a wonderful opportunity for athletes to engage their minds both on and off the field. Stay hydrated. Even on chilly fall and spring training days, drinking plenty of water throughout a sports practice, game or workout is incredibly important. Pack an extra water bottle in your child’s sports bag and have supplies ready in the car to ensure they are getting enough fluid. Always wear a helmet and proper safety gear. Whether you are going on a family bike outing or your child is playing youth sports, appropriate safety gear is essential. Be a role model for your children and always practice safety methods like buckling your seat belt, putting on sunscreen and doing a gear check before starting any sports activities. What do you do to play safe? Next Post What Nutrients are Important for Eye Health?